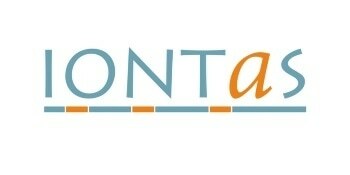 IONTAS uses its proprietary technology to accelerate antibody drug discovery from target selection through to production and purification of fully human antibody for pre-clinical use. IONTAS management has a long track record of successfully generating human antibodies using phage libraries and are recognized as experts in antibody discovery. Key members of the IONTAS management team co-invented antibody phage display in the 1990s (US5885793, EP0844306 and related filings) which has become a standard technology for generating fully human antibodies. Phage display technology provides a rich source of antibody diversity, providing hundreds of unique antibody leads to a single target. Nuances in screening regimes can introduce further attributes necessary for successful downstream development, e.g., potency, specificity, cross-reactivity and stability. IONTAS currently offers Phage Display Technology services that include antibody discovery and the supply of phage display libraries (both exclusive and non-exclusive). In addition, IONTAS is developing other proprietary antibody discovery platforms to enhance the possibilities of generating antibodies against difficult targets such as ion channels.